My cereal addiction became a matter of concern a few months ago. I literally ate like four bowls of Honey Nut Cheerios a day for the last few months of last semester. NOT GREAT! I have switched to oatmeal for breakfast. My oatmeal habits used to be me making the oatmeal as much of a dessert as possible. S’mores oatmeal was a delicious cornerstone of my freshman year of college. Now I have incorporated…FRUIT! This is my favorite combination everrrr ever ever! Perfectly sweet and perfectly filling and not filled with as much chocolate and marshmallows as the oatmeals of my past. And YOU CAN TOAST COCONUT IN THE MICROWAVE! You just put it on a plate and set the microwave for about 2 minutes, then stir it every 20 or so seconds until it’s brown. 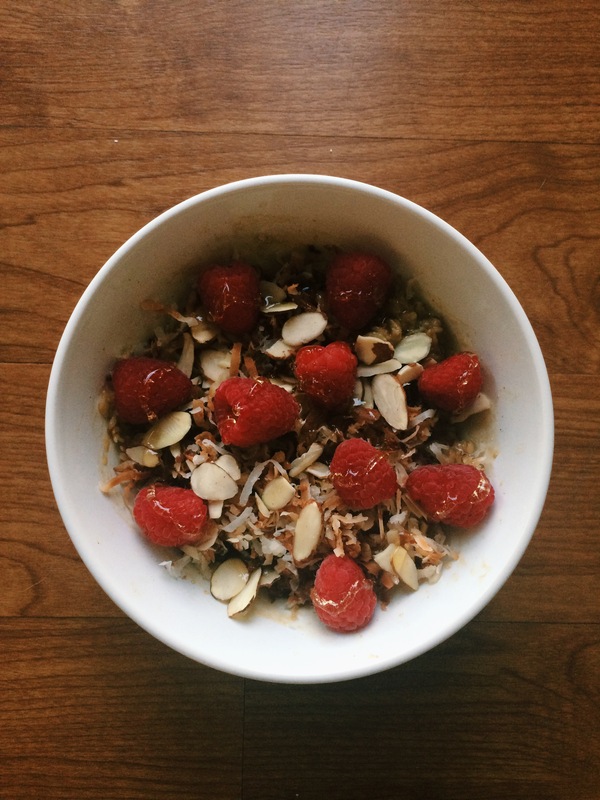 I am obsessed with coconut and this newly discovered trick has made me look forward to breakfast even more than I already did.